Unfiltered, anonymous feedback from your grantees. 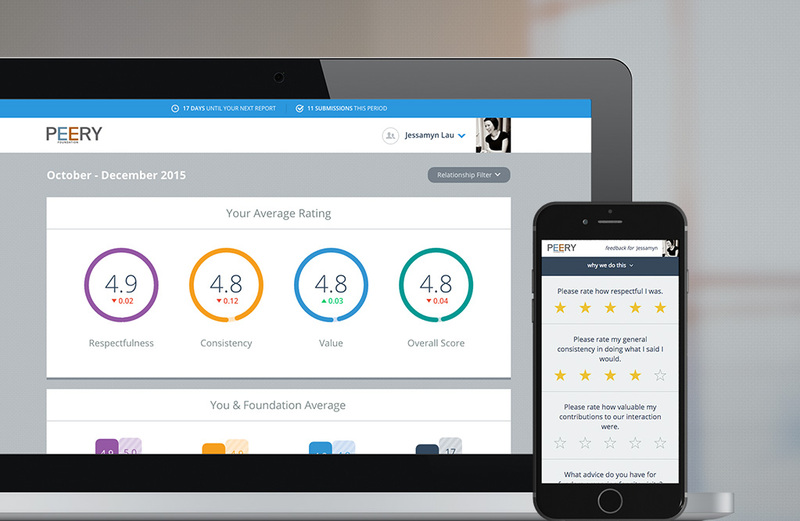 Built by funders for funders, this tool is designed to help your foundation get better. 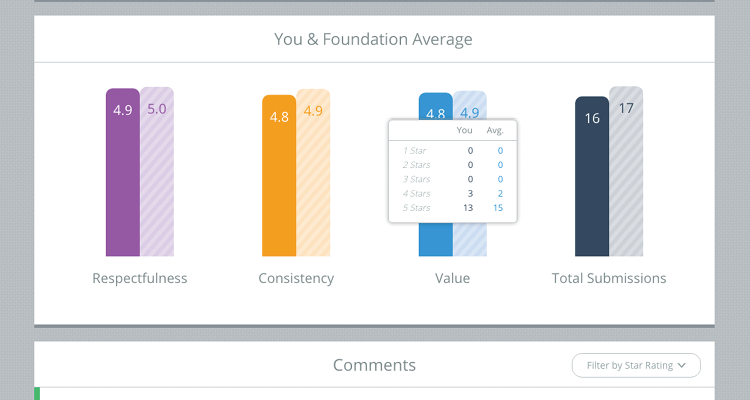 Your foundation generates a unique survey for each team member. Surveys are customizable and designed to capture the most helpful information. Embed your survey link in your email interactions. 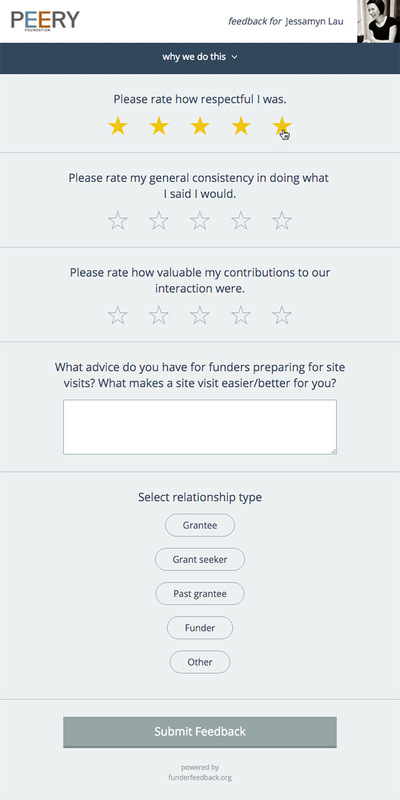 Give your grantees (and anyone else you’re interacting with) the chance to provide anonymous feedback after every exchange. Receive your results every 3 months. 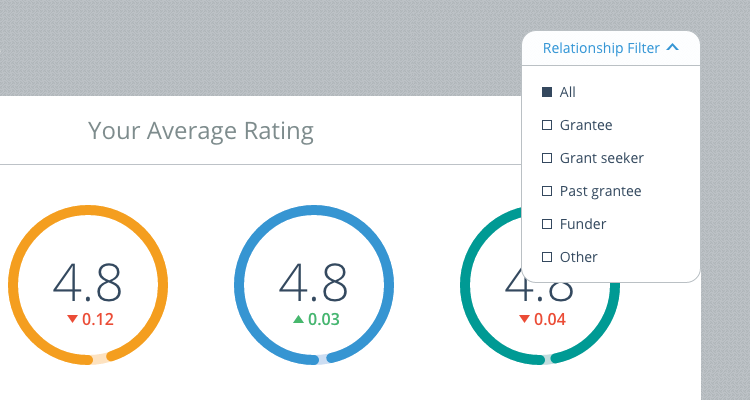 Analyze your feedback using the filterable dashboard and compare your results to the rest of your team. Created by the Peery Foundation, this tool was built and designed specially for funders. Responses are stored on a dedicated server, compiled every 3 months, and sent to you without names or timestamps. Choose the feedback that matters to your organization and generate questions to get the information you need. 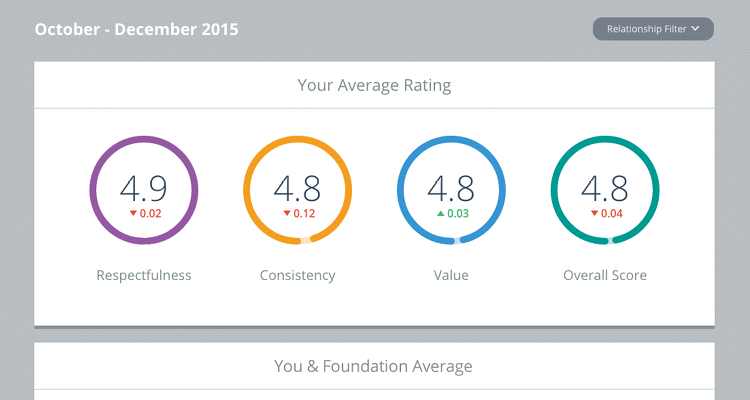 Easily view aggregated results on your dashboard to analyze your feedback. Filter responses and compare results over time. Use your results to target areas for growth. Become more effective and grow as you strategically improve. 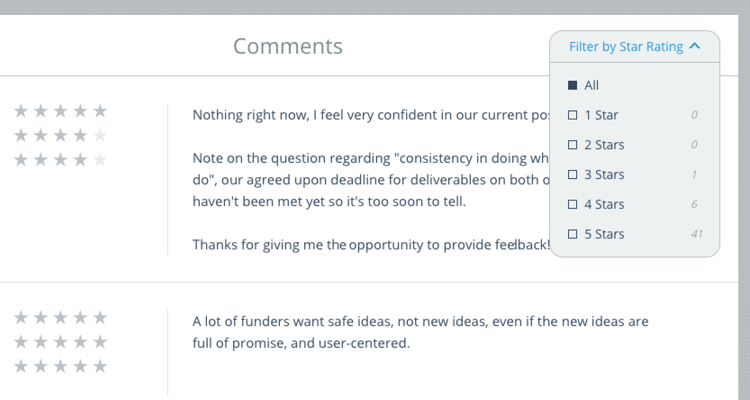 For a limited time, the Funder Feedback tool is completely free. Sign up below to request your invitation. 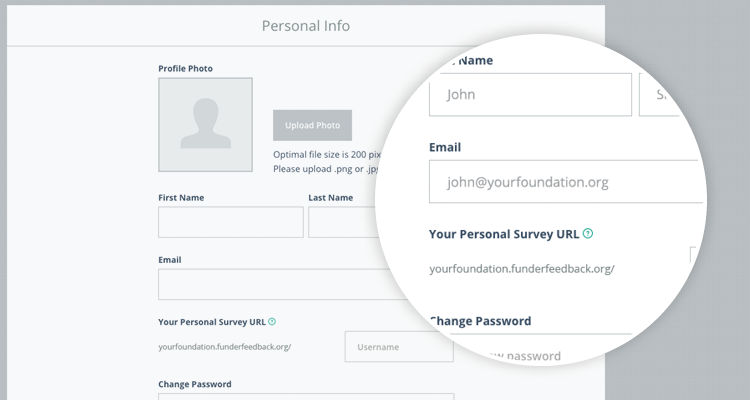 If you would like to use Funder Feedback for your organization, please fill out the form below to request an invitation.